Despite fresh safety fears after a woman was hit and killed by a self-driving Uber vehicle in the US last month, many tech giants like Google as well as automakers are accelerating plans in an industry attracting billions of dollars. The competition is heating up in China, the world's largest car market, with internet firm and Alibaba rival Baidu recently predicting that self-driving vehicles will hit the road in the country within three to five years. Both Baidu and Chinese tech giant Tencent are pursuing the technology, stirring speculation about Alibaba's plans. "We've been doing a lot of research on driverless things," Ma told reporters on Thursday while on a business trip to Bangkok. "What we want to do is (figure out) how we can make the cars more automatic, more friendly, more like a partner of human beings rather than just a driving tool," he said. Ma was speaking at a press conference in Bangkok after signing agreements with the Thai government, including a more than $300 million investment in a "digital hub" in eastern Thailand aimed at connecting regional markets. "I believe our children will only work four hours a day and four days a week or maybe three days a week, but they still will tell us they are very busy. Why are they busy? They are in cars," he added. 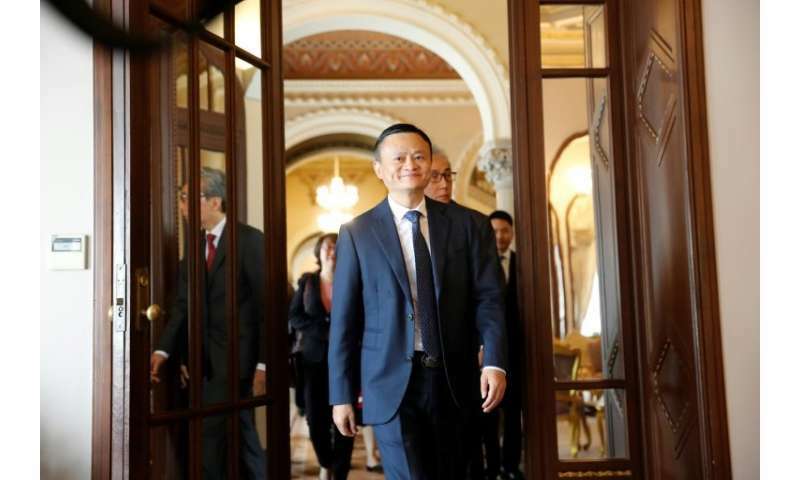 Ma did not elaborate on the company's plans but said the purpose was not to commercially compete with rivals Tencent and Baidu. Chinese authorities approved regulations this month to allow for local driverless road tests, according to state-backed media, which reported on Wednesday that Alibaba was adding staff to work on the technology. Self-driving cars hold the promise of being more attentive and quicker to react than humans at the wheels, while also allowing people to use travel time more productively or pleasantly.